Becoming a parent doesn’t come with an instruction manual. Parenting isn’t easy, and the first year can be the toughest as you struggle to find your footing in your new role as mom or dad. Don’t worry, all parents stumble their way through at first, learning as they go and racking up an impressive number of mistakes along the way. Here are nine common mistakes that new parents make their first year and how you can avoid them. Books that tell you what to expect in the first year are good guides, but they aren’t the bible of parenting. New parents tend to read up on how to properly take care of their newborn and then drive themselves crazy trying to do everything “right.” The truth is, there is no one way to parent a child. Every child is different and what works for one might not be right for another. Instead of focusing on raising yours the way some book has told you to, try to focus on providing a loving, nurturing and safe environment for your baby. Do that and everything else will fall into place. Most new moms have heard the advice that they should sleep whenever their baby sleeps, but all too often it seems to fall on deaf ears. 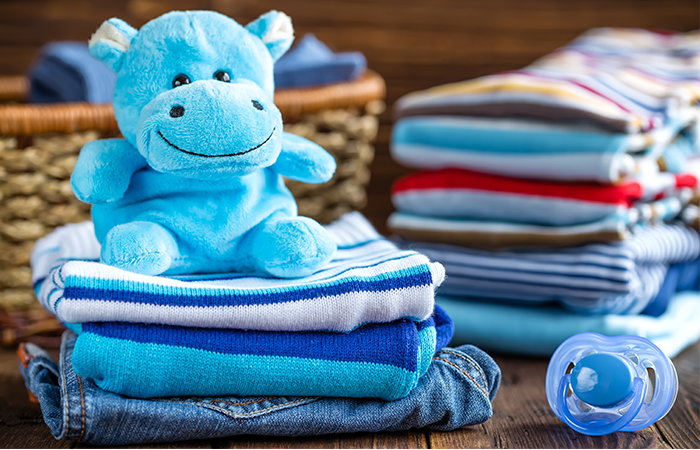 For first-time parents, sleep can be scarce—especially in the first few months—but instead of napping when their baby naps, they end up folding laundry instead. This is a big mistake! Sleep when you can. Everyone will be happier and more productive with a couple of hours of extra sleep. The laundry can wait. New parents tend to sense danger at every turn and worry about every little thing. They mean well, but all that overprotectiveness actually does more harm than good. Children learn by watching their parents, so if yours observes an overly worried mom or dad, they may grow up being too afraid to ever take risks. Making mistakes and taking a few tumbles is how children learn to handle all the challenges life is going to throw at them, so keeping them in a safety bubble can hold them back from learning some major life lessons. Keep an eye out for real dangers, of course, but don’t stop them from playing with other kids for fear of a skinned knee. First-time parents have a habit of keeping the baby and themselves locked inside the house for the first several months of life for fear that the baby will catch something. 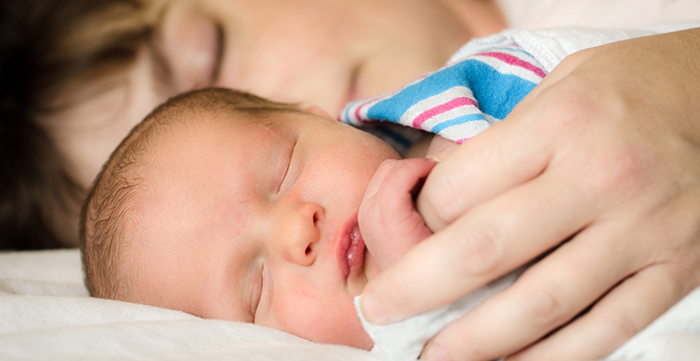 While it’s true that a newborn’s immune system is weak and more susceptible to germs, that only means that it is best to avoid crowds—not the outdoors in general. Fresh air and a little sunshine is good for the entire family and the baby is unlikely to catch the flu from a leisurely stroll through the neighborhood. Instead of holing yourselves inside for weeks on end, try to spend some time outside on a regular basis. Following a regular schedule makes things easier for the entire family. A baby’s internal clock isn’t regulated yet, and it can be easy for them to get their days and nights mixed up. Following a routine can help prevent this. It also helps maintain calm in the household and makes it easier to plan outings around feeding and nap times. Getting your baby into a routine is as easy as feeding him and laying him down for naps and bedtime at the same time every day. Do this regularly and he will soon fall into a pattern. First-time parents tend to go overboard with their baby’s first wardrobe. After all, they want their little one to be the best dressed baby in the neighborhood. Unfortunately, most of those designer clothes remain hanging in the closet with the tags still on long after the baby has outgrown them. The truth is, for the first few months, babies mostly wear onesies and pajamas around the house. Getting dressed up is a rare occasion. And since babies tend to jump up a size every three months or so, they don’t have time to get through an entire wardrobe before they outgrow it. New parents often don’t trust anyone to take care of their baby, so offers of help are waved away. This is a mistake. Being a parent—especially a new parent—can be exhausting and overwhelming. Every mom and dad needs a break every now and then. Don’t deny yourself some downtime, or you’ll risk becoming burnt out. You don’t have to be a superhero. Let loved ones help out and take some time to take care of yourself. You will be a better parent because of it. Many parents stress themselves out by comparing their baby’s development to the development of other babies. Try to avoid this, at it will only cause undue worry, and is unfair to your little one. Every child is different and develops at a different pace. 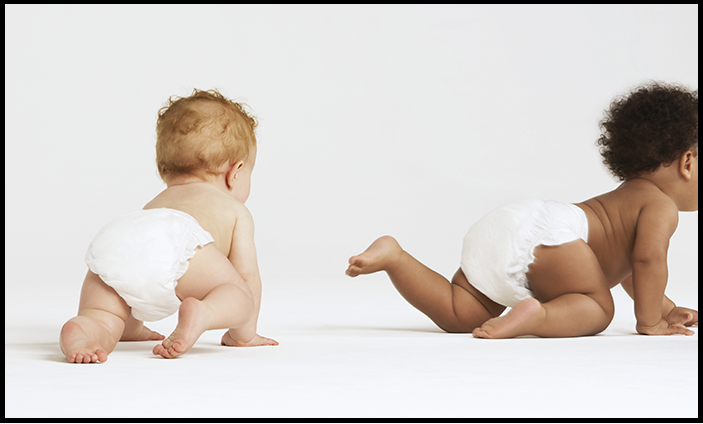 While one baby may begin walking at nine months old, another may not start until their one-year birthday. Don’t worry about how fast or slow your baby is developing. As long as your doctor has no concerns about health or growth, things are likely just fine. For first-time parents, a new baby is their sun, moon and stars. Yes, the new addition needs your focus and energy—but not all of it! A marriage requires nurturing too. So put in the effort, even if it’s reserving some time for a quiet candlelit dinner once the baby has gone to sleep. Growing up in a warm and loving environment is important to your baby’s well-being, so make sure your other half is a priority too.